With danger on the roads being an ever-present issue for cyclists, especially in London, it’s about time we turned to technology to make ourselves safer – and the latest innovation comes in the form of LIVALL’s Bling Helmet. While it doesn’t look particularly special, this is no ordinary cycling helmet. LIVALL, a Chinese company, has integrated some pretty exciting features. It’s got 80 LED lights on the top and back of the helmet for night-time visibility, and includes a Bling Jet – a remote control which is easily installed on the bike’s handle bars, allowing the cyclist to activate LED tail lights that show turning signals. You can also use it to play music and take phone calls, photos and videos. Another cool feature is its SOS alerts. 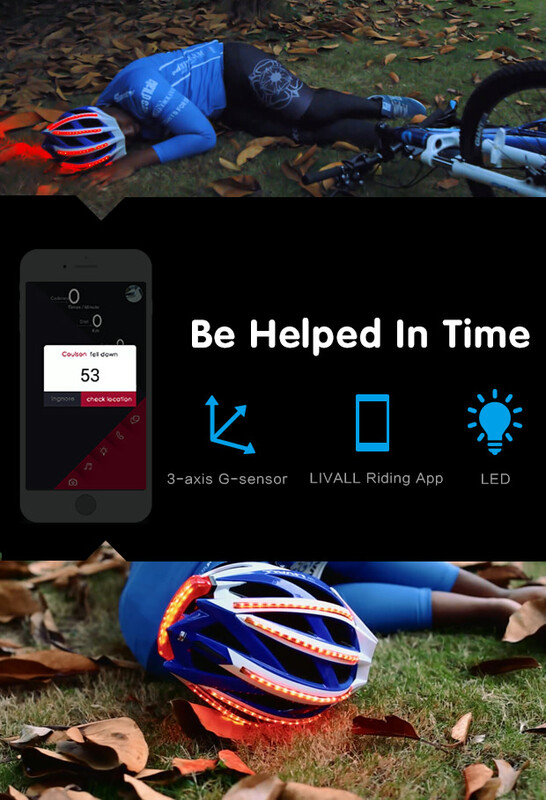 Triggered by a built-in 3Axis Gravity Sensor to detect falls, calls for help can be sent automatically to emergency contacts via the LIVALL Riding App in case of an accident. 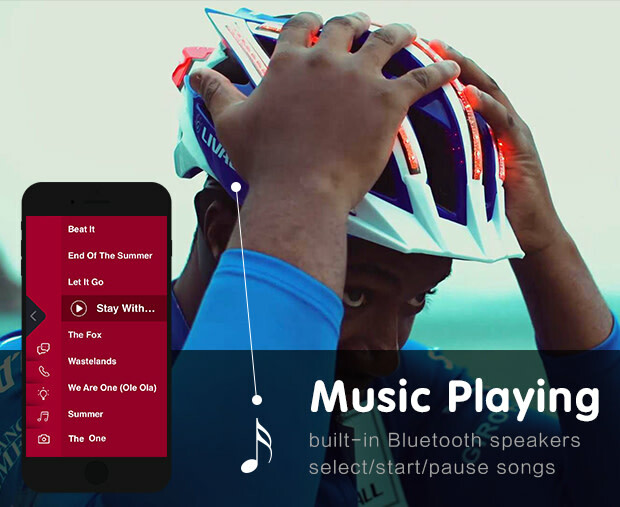 Built-in Hi-Fi Bluetooth speakers and a microphone allow you to listen to music and make phone calls on the go, while its Walkie-Talkie function makes it possible for cycling groups to communicate with each other. “I’m passionate about bikes, and I believe that many cycling fans, like me, enjoy the cycling experience most when shared with others,” said Brian Zheng, Founder and CEO, LIVALL. The team behind the LIVALL helmet have working helmets at the ready, and are seeking $20,000 to bring it to mass production. They have already reached a staggering 598% of their Indiegogo target, a mere 11 days after the launch of their crowdfunding campaign. Special Early Bird deals are sold out, but by pledging $100, you can still get a helmet. What’s even better is that delivery is estimated to be in October 2015, so you won’t have to wait too long. Other brands have been responding to a need for a safer cycling experience, too. Hövding, a Swedish startup, has developed an airbag for cyclists, while Lumos, another crowdfunding hopeful, is a helmet which has automatic brake lights and integrated turn signals. Let’s hope that governments will facilitate these efforts to improve cycling safety by redesigning road layout and making space for cyclists!